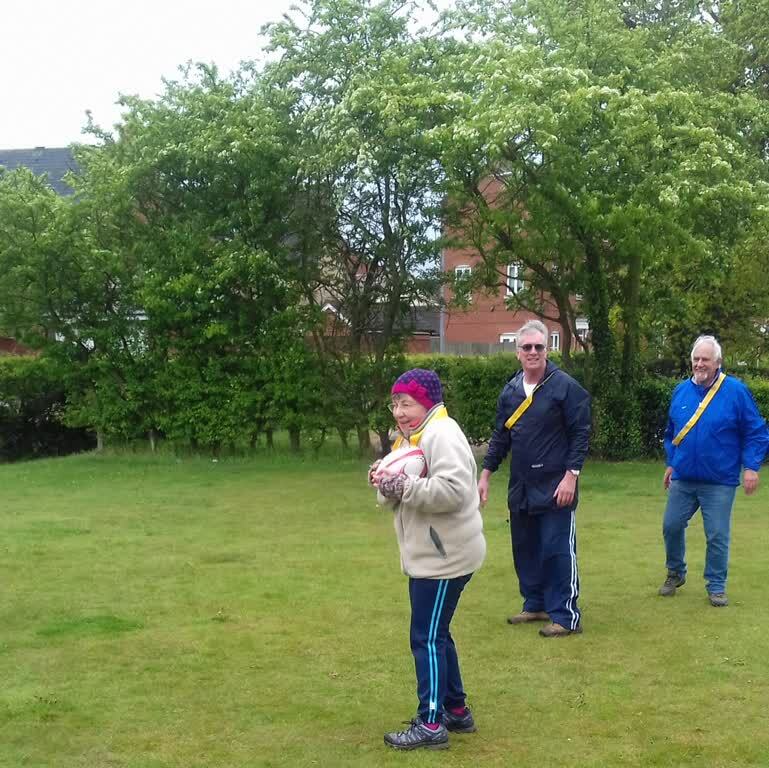 This is a Group for members who enjoy exercise, the great outdoors and lots of fun in a light hearted environment with plenty of laughs. 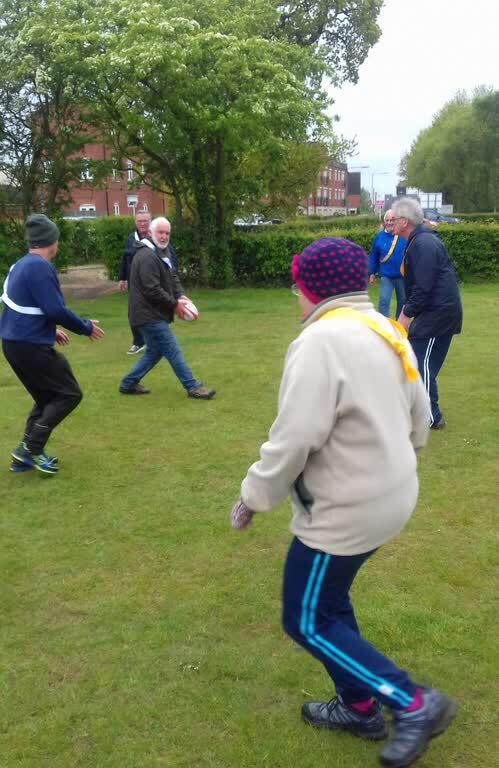 The Group has been playing and enjoying walking rugby since it was established one year ago. 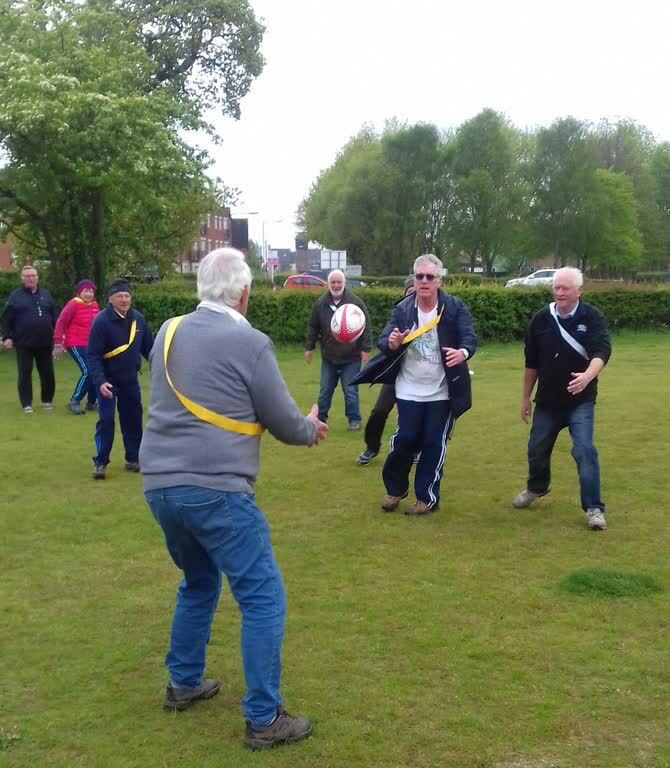 The Group meets every two weeks on Wednesday afternoons at 2pm for one hour at the Colchester Rugby Club. As usual there is no charge but a £1 donation per session to the Rugby Club funds please. Sessions begin with a structured warm-up where muscle groups are focused upon so that mixed teams of up to six players prepare well for four seven-minutes playing quarters of the game. 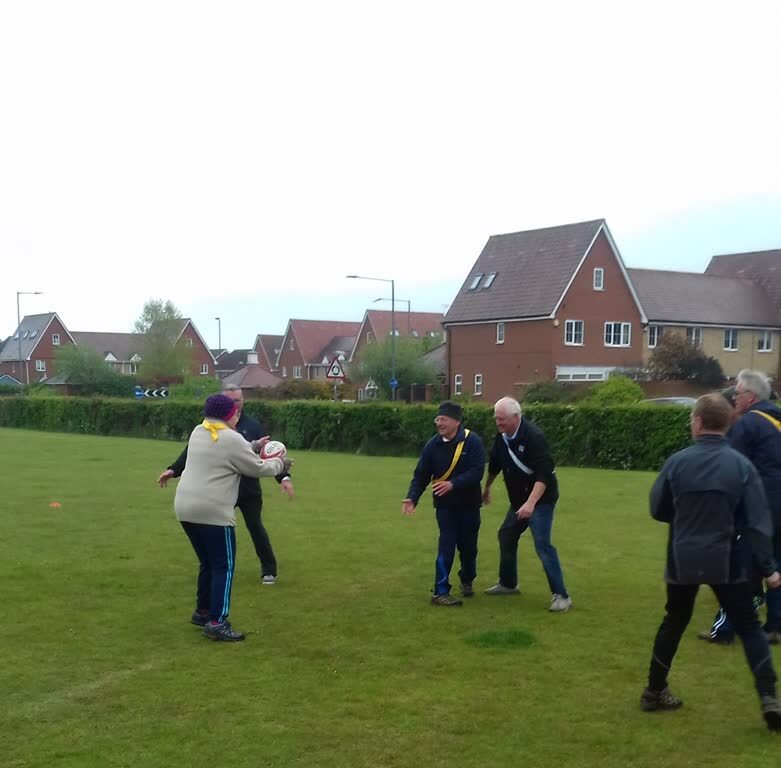 Each session is refereed by a qualified rugby union referee who ensures that the walking rugby rules are adhered to, and that the no-contact spirit is maintained. There are two former captains of Colchester Rugby Club to coach the group and play. The four lady players fought hard throughout and dominated the gentlemen giving them a well-deserved victory. The lady of the match was Jane with Betty a close second. On her debut Lorna firmly displayed her South African rugby background with grim determination to obtain the ball, whilst Anne as always continued to be a safe and effective pair of hands with great energy and accuracy. The matches were fast and well calculated with clean accurate passing. 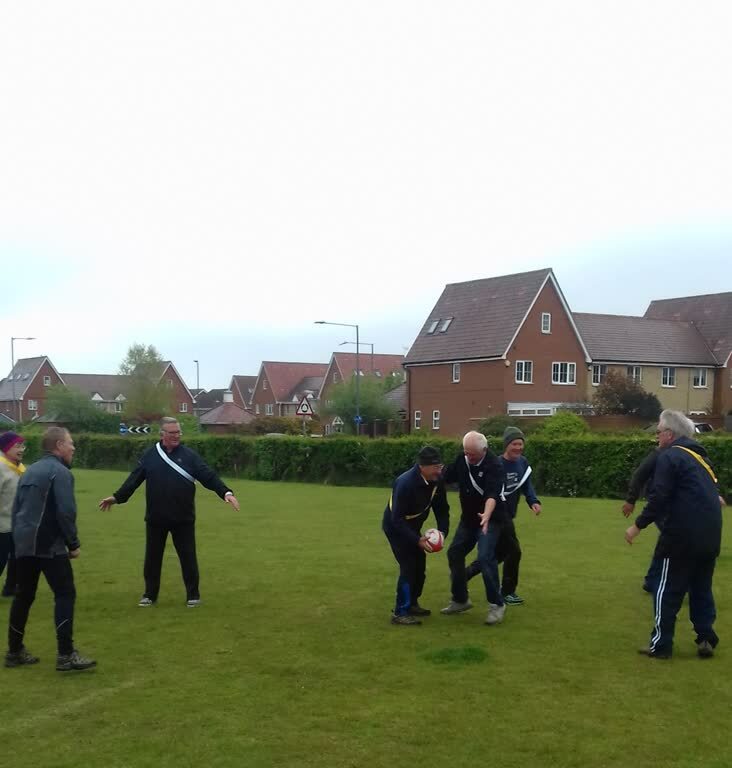 Our expert coaches Paul and Tony pushed us hard throughout and refereeing was strict with infringements pointed out and dealt with firmly but fairly. Rob, Dave, Richard and Graham all displayed great flair, and Rob was nominated man of the match with his energetic display of speed and accurate passing of the ball. We have vacancies in the Group and would like to expand beyond our current 16 members, so if you would like to join or get further details, please use the Bluebird contact button at the side of the page to send a message to the Group Leader.